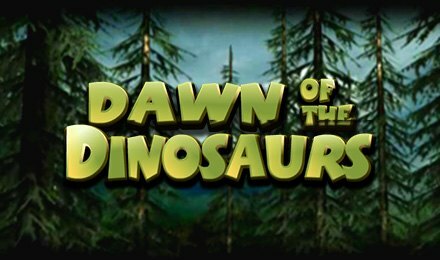 Play Dawn of the Dinosaurs Slots, a 5 reel-25 payline slot game boasting a Raptor Clash bonus game & free spins explosion! Dawn of the Dinosaurs Slots is an exciting dino-themed slot which has a maximum jackpot of 10,000 coins. It features interactive bonus rounds and dinosaur symbols across its reels, some of which activate special features. It also features fitting sound effects adding to the overall theme. Dawn of the Dinosaurs is a five reel, 25-payline video slot with both Wild and Scatter symbols. The Wild is the dinosaur eye symbol and the Bonus icon is the scar and activates the Raptor Clash Bonus game. The symbols can land anywhere on the reels and the bonus is extremely interactive and you act as a dinosaur in the one on one clash. If you manage to defeat your opponent you’ll be able to win some extra coins. There is a Free Spin Explosion round which is activated by 4 lava rocks being collected and there’s also the chance to multiply these spins. Dawn of the Dinosaurs is an exciting video slot with a great theme and some super fun bonus features. Collect T-Rex eggs and save for later to increase your wins!